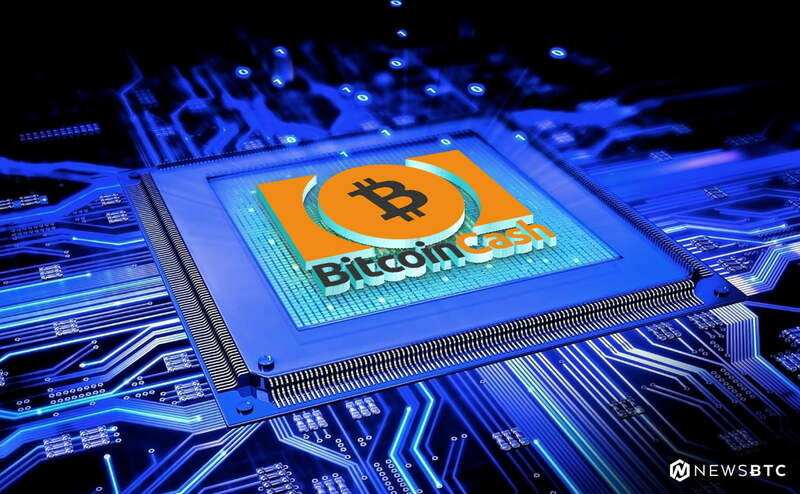 Bitcoin cash price failed to move above $725 and declined sharply against the US Dollar. There was a break below a key bullish trend line with support near $680 on the hourly chart of the BCH/USD pair (data feed from Kraken). The pair is back to the last swing low of $625 and it remains at a risk of more losses. Bitcoin cash price made a failed upside attempt against the US Dollar. 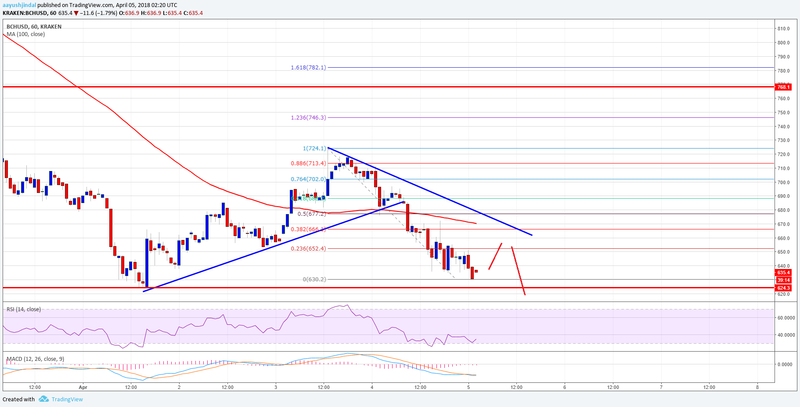 BCH/USD could even break the $625 low for more losses in the near term. It seems like the last upside wave was completed at $725 in bitcoin cash price against the US Dollar. The price started a downside move and broke many supports such as $700 and $680. There was a close below the $680 support and the 100 hourly simple moving average. Sellers took control and pushed the price even below the $650 support level to set the pace for more declines. More importantly, there was a break below a key bullish trend line with support near $680 on the hourly chart of the BCH/USD pair. The pair is now trading near the last swing low of $625. If sellers remain in control, there could be a break below the mentioned $625 level. In the mentioned case, the price may trade to a new monthly low towards $600. On the upside, an initial resistance is around the 23.6% Fib retracement level of the last decline from the $724 high to $630 low. However, the most important hurdle is near the $670 level and the 100 hourly simple moving average. A break above the $670 level is needed for a new recovery in the near term.